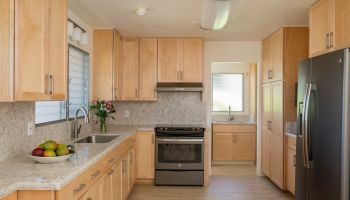 Sales Manager Randall Omoto of Homeowners Design Center, a full service, kama'aiana, kitchen design and remodel company, takes an unconventional yet effective cue from the clever Cheshire cat in Alice in Wonderland when it comes to planning a kitchen remodel. He advises homeowners looking to revamp their kitchens to approach the area in the right way; by asking, "Where do you want to go?" The answer will accomplish the first crucial step to any project, and that's establishing a clear and attainable objective. Once agreed upon, this concrete objective will allow the homeowners to work with the design team to build a realistic budget for the undertaking, as well as provide a guidepost to help stay within these parameters throughout the entirety of the project, resulting in a winning situation for all. "The objective keeps us on focus, and keeps us on point,"reiterates Omoto. "It keeps us in a situation where we can always go back to it. “Establishing the Objective”, the first thing to do when planning a kitchen remodel, says Randall Omoto of Homeowners Design Center. "Kitchen Remodeling Advice for Family & Friends" by Homeowners Design Center, is a three-part series of videos featuring sales manager and kitchen designer Randall Omoto. In them, Omoto imparts the important aspects to consider when planning for a kitchen remodel. He dispenses this advice as if he was talking to friends or family members because he understands that this remodel will most likely be the first, and hopefully only, remodel for the space that most homeowners will go through. Because it's a complex and new endeavor, good planning is a must and there are several key things that homeowners need to be aware of. Click on the image below to watch "Kitchen Remodeling Advice for Family & Friends - Establishing the Objective". This first video in the series will be discussing several of the key elements homeowners need to plan for in their kitchen remodeling plans. In addition to establishing the objective, the series will discuss the importance of establishing the budget and how to select an expert advisor, like a kitchen designer, and how these advisors help the homeowner with the remodel. You'll want to watch every informative video in the series as the last video in the series will feature Omoto letting homeowners in on "The Big Secret" of kitchen remodeling. 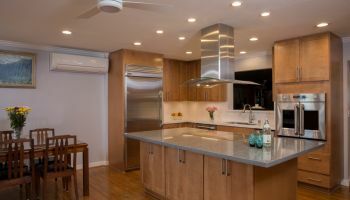 To see how Homeowners Design Center can help you with your kitchen remodel, just click on anywhere you see the company name.